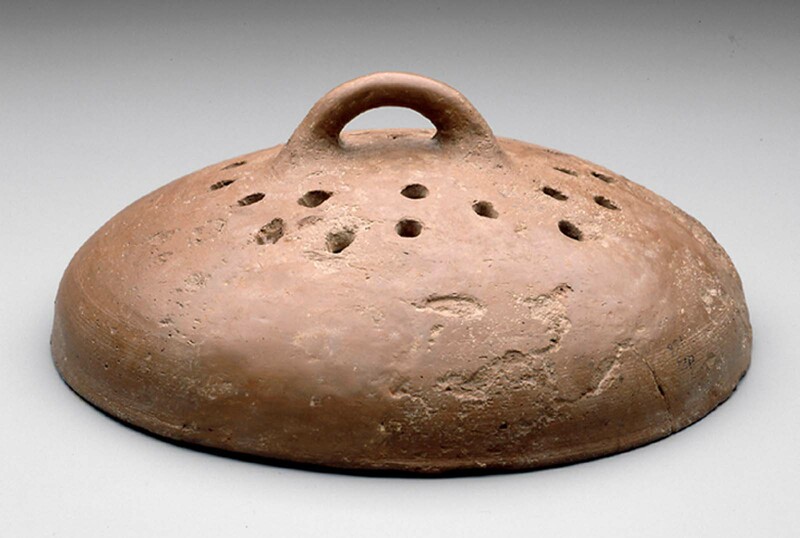 Perforated lid with handle, brown ware. Broken and mended. Tomb of Heterheres I. From Giza, tomb G 7000 X. 1926: excavated by the Harvard University-Museum of Fine Arts Expedition; 1937: assigned to the MFA by the Egyptian government.